This strange and mysterious wagon visited in passing, spending a short period in Quainton's Up Yard. It is a 4 wheel ramp wagon used to load tanks. According to its two different builders plates it was built at Ashford, Southern Railway in 1940 and weighs 11 tons. It is believed to be one of 5 in the UK, but they were believed to be very common in Germany as Hitler had at least one stationed at every station, halt and railhead. The LMS replaced the builders plates on LNWR vehicles as seen on our CCT which carries a plate "LMS 1912 Wolverton". It is therefore possible that this was also done to this one by the Southern so it was not obvious that a German wagon was in England just after the war. Cleaning of the steelwork during restoration for the foundry name will confirm this or otherwise. These wagons could remove an axle to turn it into a ramp. Each buffer is hinged and has its own chained-on spanner to release the nuts holding the buffer. 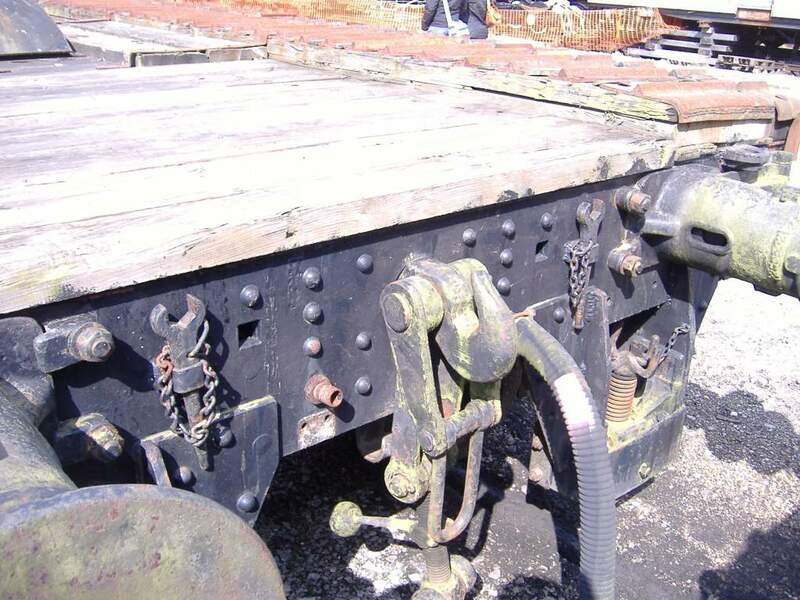 Screw down jacks are provided as are wooden wheel chocks and there are two extra pieces that make the wagon wider. It is the presence of these widening strips that put the wagon outside the loading gauge that have caused it to come to Quainton from Bicester. They are fixed on in a removable way with brackets and pins. Of the five believed to have been built in the UK three are known to have been scrapped but the whereabouts of the fourth is not known. This example carries all instructional lettering in German and English and appears to have been used by the BAOR (British Army On the Rhine). 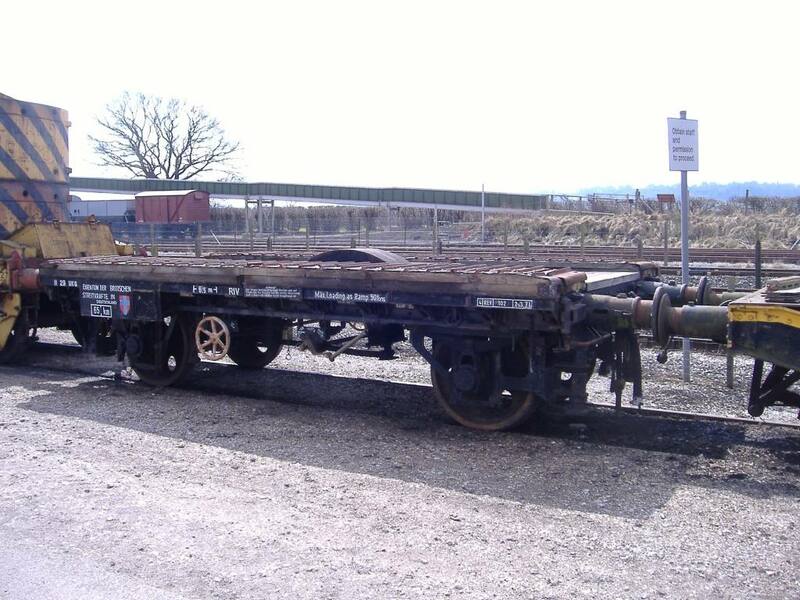 A most interesting vehicle which is going to its new home on the North Staffs Railway whose HQ is at Cheddleton.